Autumn was our photographer for our wedding and engagement photos. She was helpful, quick to respond, and delivered wonderful pictures. I felt so comfortable working with her! She had a detailed schedule for the day of the wedding and everything went very smoothly. The pictures look beautiful and we have gotten lots of compliments on them. During the wedding day, my family and friends commented on how organized and kind Autumn was. She was also flexible to meet our needs. We highly recommend her! Autumn was amazing to work with! She made everything very stress free and let us be ourselves throughout the whole process. Autumn did a beautiful job capturing our wedding day. It snowed 10 inches and the pictures are incredible. Something that was important to us was NOT doing a first look. I was worried vendors would try to convince us otherwise, but Autumn was so easy to work with and never tried to get us to change our mind. Autumn was recommended to us by a close friend for our wedding photos, and we are so happy that we went with her. We live in Portland, OR and were planning our wedding in Muncie, IN. We weren't sure if we would have a chance to take engagement photos, but on a quick trip home Autumn was able to meet us for an engagement session while we were brewing beer with our wedding party. She is so nice and friendly that we immediately felt at ease with her on the other end of the camera. She was very helpful in suggesting different ways to pose as well as capturing the best candid photos in between. On the wedding day, we hardly even noticed her or her second shooter there, but they captured EVERYTHING. The photos are so beautiful and we'll cherish them for forever. Autumn has such a kind and pleasant personality that she was a very calming piece in my chaotic wedding schedule. After our wedding has been all said and done, I can honestly say I am in love with every photo Autumn captured. Posed photos are great but nothing really captures the essence of a moment quite like natural shots, and Autumn's natural shots are nothing short of artistic excellence. She captured everything we wanted and then some! They are all beautifully edited and are something I will cherish for the rest of my life. We LOVED working with Autumn. We are so glad we hired her, and she could not have been easier to work with! Everyone at the wedding was talking about how organized and great she was. 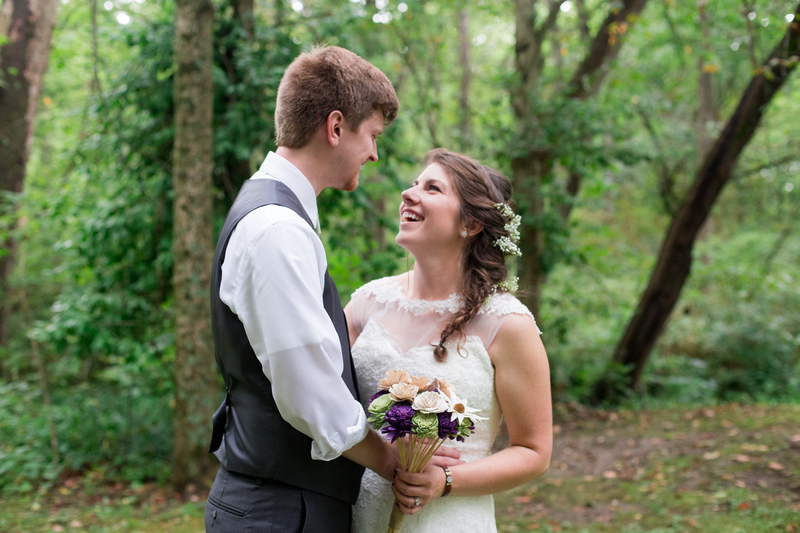 After the wedding, Autumn turned around our photos incredibly fast. We had a couple previews the very next day, a blog entry with a dozen more a week later, and the full gallery about two weeks after the wedding. I’d hire Autumn again in a heartbeat and recommend her hands down.